Use the form below to inquire about European Style Villa at Patto Colony . Use the form below to reserve for European Style Villa at Patto Colony . Chill at this picturesque serviced European Style Villa at Patto Colony, a stone’s throw away from the heart of the city. 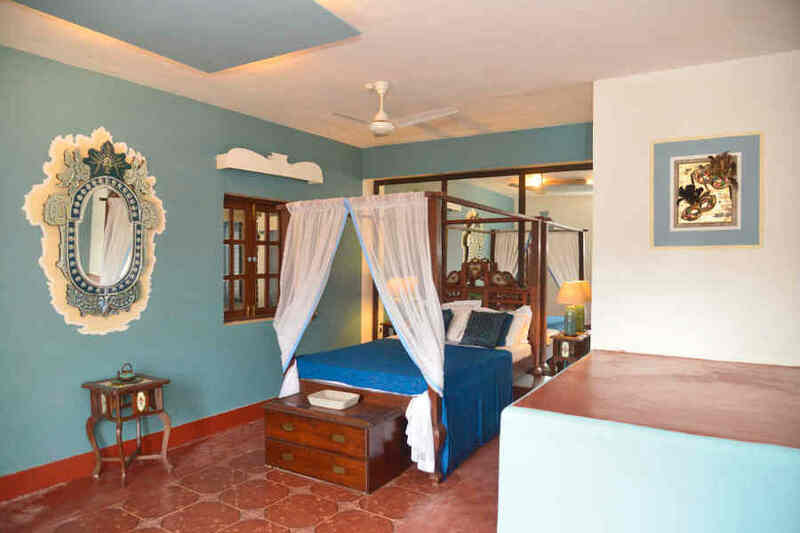 Nestled in the Latin Quarter of the Goan capital Panjim, this renovated heritage villa sits amidst narrow lanes with coloured houses built in the Portuguese style of architecture. Patto Colony underscores the lasting Portuguese influence on Goa. This European Style Villa at Patto Colony situated just a few steps from a quaint centuries old chapel along Rua de Natal, also known as Christmas Street, exudes the welcoming warmth of a home away from home. This European Style Villa at Patto Colony is a stunning example of Portuguese architecture of a bygone era with all the modern conveniences and luxuries. The exterior is that of a two-storied row house. All the comforts of a home such as washing machine, refrigerator, kettle, and crockery are available at this villa for your use. The fully-equipped kitchen can be used to prepare early morning coffee or a cool beverage at any time. This villa is set in a neighbourhood popular for bakeries that sell delicious stuff made from secret recipes passed down over generations. 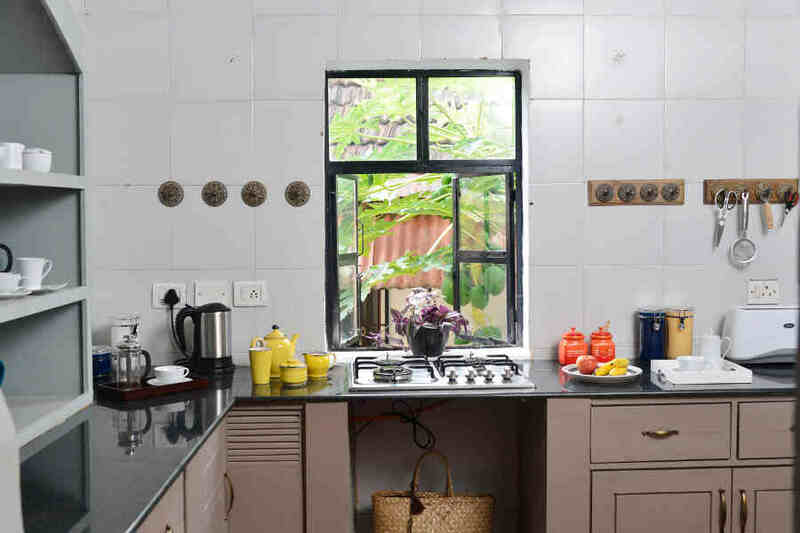 Many authentic Goan and Portuguese restaurants also dot the area making it highly unlikely that you will need to use the kitchen for any major cooking during your stay. There are three bedrooms in this European Style Villa at Patto Colony. Each room is carefully decorated in a unique style with items that have been handpicked and feature quite a few antiques. Two of the bedrooms come with balconies that let you soak in the ambience of the neighbourhood at all times of day and night. 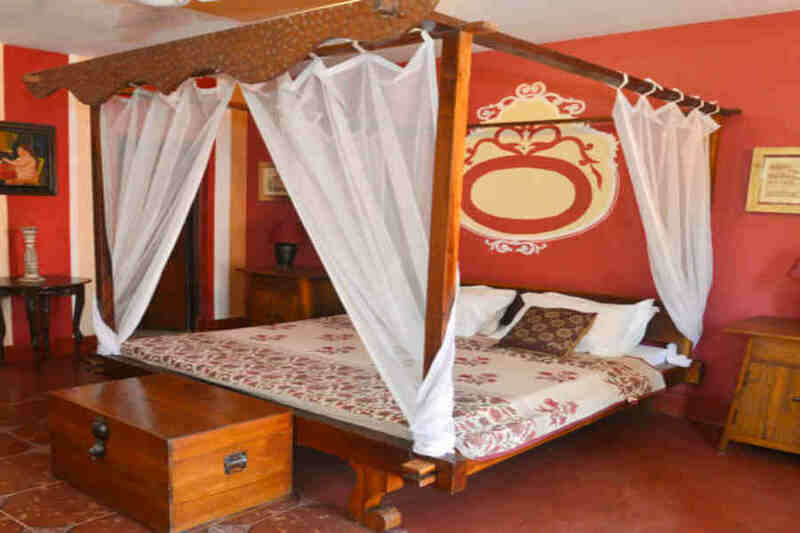 This fully serviced villa also provides accommodation facilities for domestic help. Its proximity to popular beaches, nightspots, restaurants, bakeries, and historical sites make it the perfect spot to soak in Goan culture to the hilt! Room tariff for the entire villa (3 BR) on a double occupancy basis inclusive of breakfast. Walk around the neighbourhood looking at heritage homes, restaurants, cafes, pubs, art galleries, and places of worship. Take the stairway, a miniature version of Rome’s Spanish Steps, that leads to the grand Bishop’s Palace at Altinho hill and stroll around as you savour the spectacular views of Panjim from atop. Many heritage homes and the Sunaparanta Centre for the Arts dedicated to the visual arts are located here. Panjim has a rich heritage of churches, temples, and Basilicas. Boating along the Mandovi River is a must do activity in Panjim. The colourful cruises usually last for an hour and you get to see some Goan folk dances and music on board. The sunset and moonlight cruises are in great demand and can get booked well in advance. Miramar beach with its stunning white sand and beach side shopping is just a short distance away. Dona Paula, which is known for adventure activities such as water sports and parasailing is also easily accessible from here. Goa International Airport at Dabolim is the nearest at 26 km. Mangalore International Airport is 375 km away while Kempegowda International Airport, Bangalore, is at 613 km. Karmali railway station at 14 km is the nearest while Thivim is at a distance of 24 km. Madgaon station is 37 km away while Vasco da Gama is at 29 km. Bangalore railway station is 590 km away. Madgaon is at a distance of 34.8 km km via NH66 while Gokarna is around 164 km away along NH66. Bangalore is at a distance of 590 km via NH79.